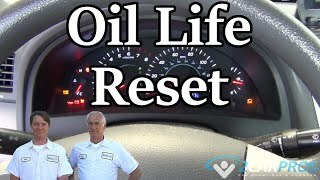 Why should I do my car's first service? We are a team of ASE certified mechanics that have created this guide to help you save money and keep your car running smoothly for many years to come. When you buy a new car the most important thing you can do is keep the services up and give your car a visual inspection both under the hood and under the car. Although the manufacturer does a pretty good job on putting the cars together you would be surprised at the many things they can improve upon. You might think the dealer will look over you car thoroughly but some dealerships are interested in only one thing, get the car in and out as fast as possible. This is why you should be the person to go over your car for the first service. Any problems you might find should be reported to the dealer and taken care of by the manufacturer's warranty. Leaks and noises should be at the top of your list when checking for problems. The first service is mostly an inspection with the exception of the oil change. 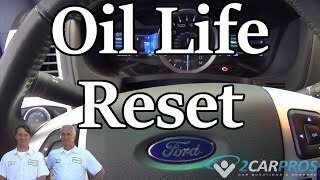 The complete maintenance operation should only take you about 45 minutes from the time you roll the floor jack under the car to the time you check and fill the fluid levels. Deposing of the waste oil will take about 15 minutes depending how far you are from an auto parts store. Any store that sells oil must take waste oil, it's the law. Begin with the vehicle on flat ground engine off and in park with the emergency brake on. Wear protective eyewear and gloves. You will need to use a floor jack and jack stands to raise the car for the inspection and service. Start by checking under the hood to inspect coolant hoses, engine wiring, intake boot and tube, battery, vacuum line routing and the serpentine belt for any abnormal wear. Also look for any fluid leaks and try to pinpoint their source and report the problem to the dealership for repairs. Inspect under the vehicle to observe suspension components, driveline and universal joints while checking for excessive wear or torn lubrication boots. 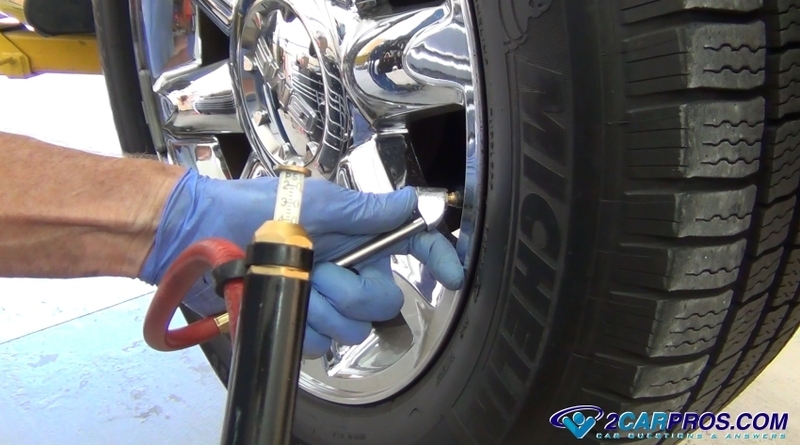 Also, inspect for "rust dust" on any frame member, universal joints, sway bars, locating arms, strut rod mounting bolts and any other main frame or suspension components. This rust colored dust is created from metal on metal contact and is an indication that a component is experiencing abnormal wear or is loose. 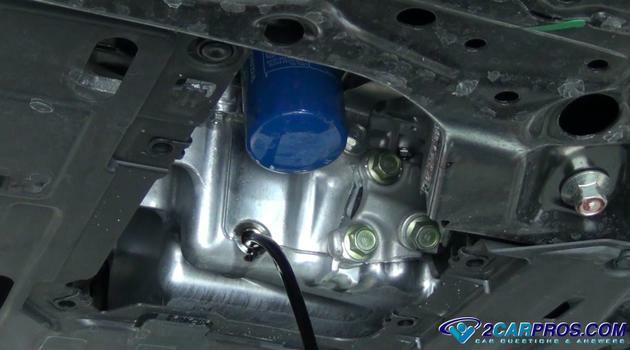 Use a floor jack and jack stands to raise the car and look underneath. 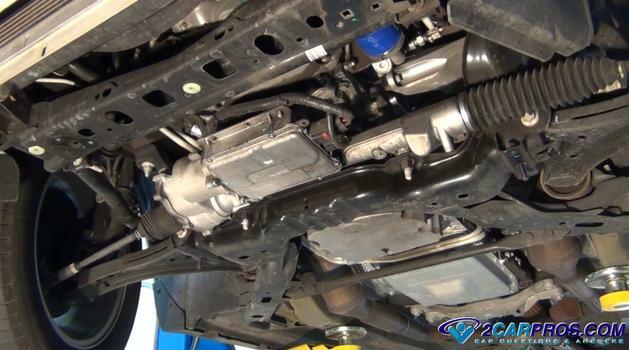 Many defects can exist on a new car such as missing or loose bolts on engine mounting brackets and suspension parts such as sway bars and strut mounts, also wiring harness routing failure and engine, transmission or differential leaks. An engine oil and filter change is mandatory at every service interval. This engine maintenance is the most vital of all car services. We recommend performing your own oil changes to ensure the correct oil filter and motor oil is installed. A car operates using a variety of fluids; engine oil, transmission and power steering fluid, brake fluid, front and rear differential fluids. All fluids must be maintained at a proper level. While some are easily checked others will require the car to be a lifted. 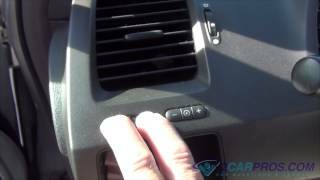 Most new cars do not have a transmission dipstick. Also some cars are designed with an electrical steering system which does not require fluid. Most wiper blades will last through the first service but in extreme foul weather conditions it's essential to install new wiper blades to ensure proper windshield vision. 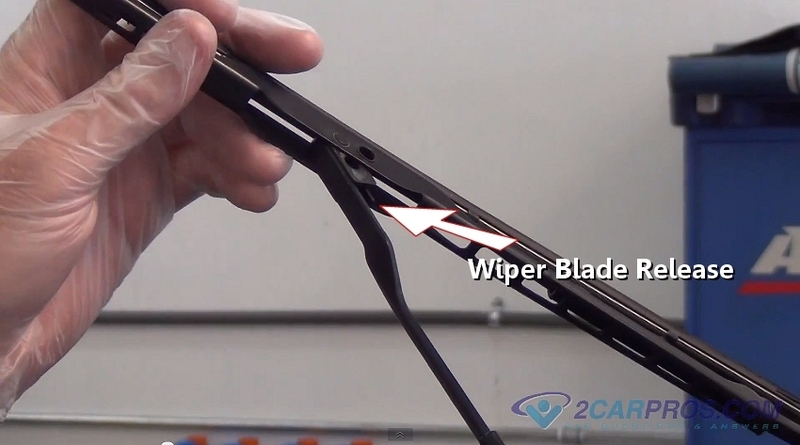 Check the blades for cracking or tears in the wiper rubber. Replacing your car's wiper blades is a relatively simple job and will only take about 10 minutes. 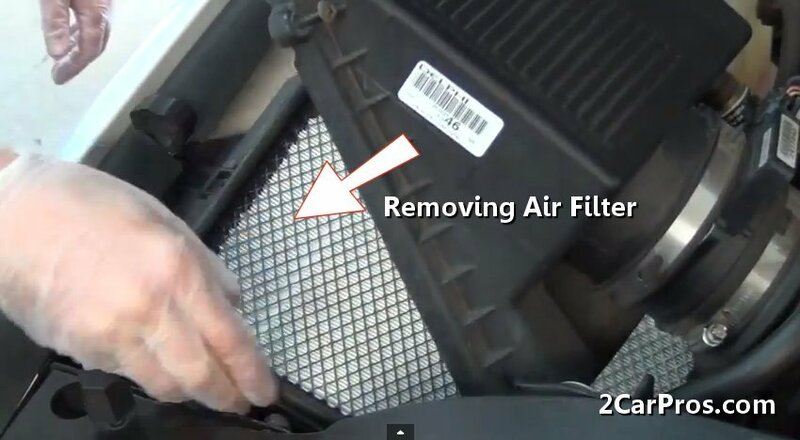 Inspecting and replacing the engine air filter is a simple process in most cases. 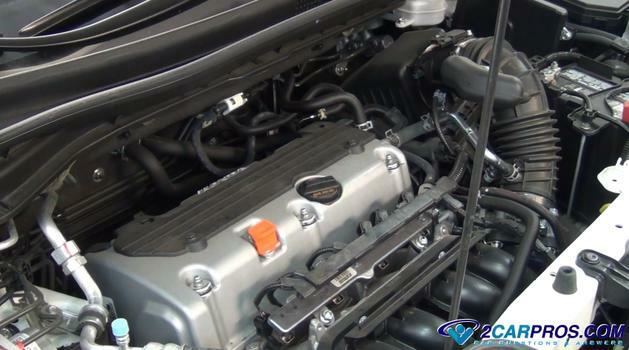 Typically changing the air filter only involves opening the hood and locating the filter housing that is usually connected the engine air intake. You can do your own tire rotating by removing the tires and using a floor jack and stands to raise and the front and rear of the car at the same time. This is because the tires should be rotated from front to back on each side. Never rotate tires from side to side. A tire rotation is needed to ensure proper tread wear patterns which protect the tire from early replacement costs. We do not recommend jacking up one side of the car. A tire rotation can also be done by a local tire or repair shop. Some cars have different size tires front to rear in which case the tires cannot be rotated. Tire pressure can sometimes be problem when it comes to getting your new car from the dealer. This is because the manufacturer typically delivers the car with the tire air pressure a little low which helps the car ride smoother. The downside of this is decreased fuel economy and increased tire and vehicle wear. Check the side of the tire which will tell you the max pressure the tire should be inflated too which is what we recommend you run your tires at. 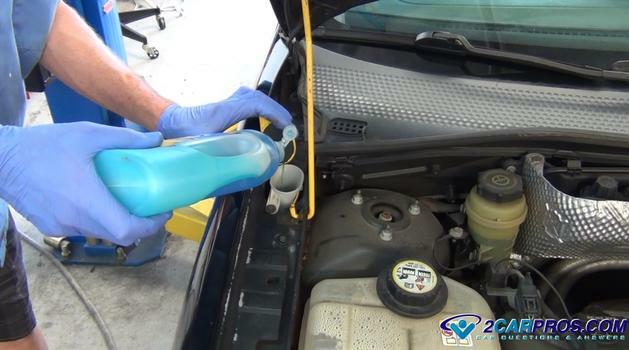 Windshield washer fluid is mandatory to keep your visibility unimpaired when driving your car. This fluid is easily checked and added to by locating the reservoir under the hood and removing the lid. 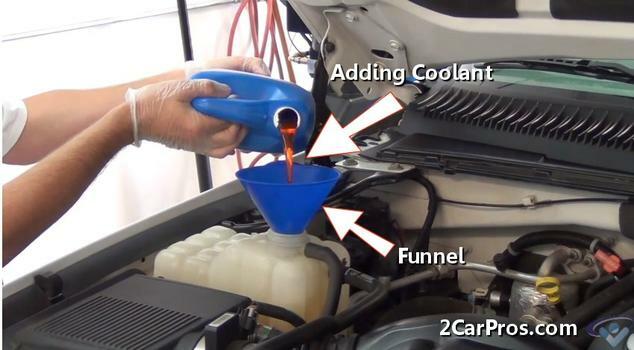 If you don't have washer fluid to add use a dash of dish soap and then fill with water. This works surprisingly well. If you have any questions about car service please visit our forum where hundreds of answers have been already given. If you need free car repair advice please ask our community of mechanics, it is 100% free.